“If I can’t go then he will come. He will come an I will be here. Drapetomania, Or The Narrative of Cyrus Tyler & Abednego Tyler, lovers, by John R. Gordon. Cover by Jaroslav Scholtz. John R. Gordon has been called “a master novelist” by the Huffington Post, and I can say that I agree wholeheartedly. Gordon, who is not new to writing about gay black lives, is the author of seven novels, he also wrote for Patrik-Ian Polk’s Los Angeles-based black gay TV show Noah’s Arc (2005 – 2006) for the Logo channel. The award-winning author’s work extends to film, where his novel Souljah (2015) was adapted into a short film, directed by Rikki Beadle-Blair, which went on to win the Soho Rushes Award for Best film, and he has been nominated for an NAACP Image Award. Gordon’s most recent novel Drapetomania (2018), ten years in the writing, is a ‘tale of black freedom, uprising, and a radical representation of romantic love between black men, Cyrus and Abednego, in slavery times’. I was recently given the opportunity to review Drapetomania, ahead of its release in May. I expected something provocative, refreshing and well crafted. I was not let down. Not only did I come away from the novel having been enveloped in a beautifully written and well researched narrative – with historically accurate dialects being utilised – I also found myself witness to an author who is able to write a romantic tale without mistakenly romanticising the contexts in which the novel is set. 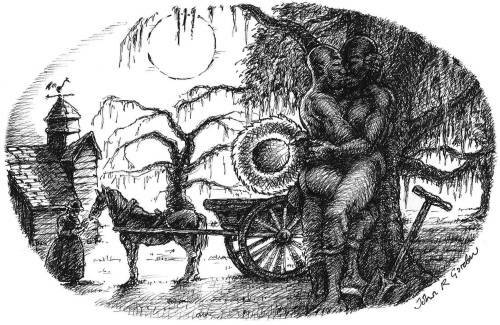 Fiction that discusses the heavily charged topic of slavery is often met with distrust and scepticism. Questions are asked as to how, or even if, a historical trauma such as American chattel slavery can be approached through artistic representation in a manner that is respectful to its victims. Analogously, Claude Lanzmann reflects, in the testimonial documentary Shoah (1985), the sentiment that such horrific events as the Holocaust should only be commemorated and not recreated for frivolous entertainment; a perspective aptly summarised by Richard Brody in his article for The New Yorker, Witness (2012) noting that Shoah was “a resounding response to Adorno’s ascertain that ‘to write poetry after Auschwitz is barbaric’.” Adorno and Lanzmann’s shared outlook asserts that to create fictional imaginings of these violent historic crimes is to forget and to remove oneself from one’s responsibility, paving the way for a similar event to reoccur; arguably, by dislocating a real human event to the point of ambivalence through fictional representation. However, as Maya Hostettler writes in her 1996 article for Women’s History Review Telling the past – doing the truth: Toni Morrison’s beloved, “What history neglects to describe are the forces and interests that structure that hierarchical system that history applies when writing its text, i.e. history. […] writing the past […] sets itself apart from writing history, […] a narrative that is doing the truth by giving voice to the repressed fears of a white and black world that do(es) not dare investigate the parameters of existence”. Gordon seems to have deliberately omitted a given date for the novel. At first, I was confused that a specific date had not been provided, besides the given detail that it was set in the antebellum south. However, as I was taken through the paces of a frank and highly emotive novel, the absence of a date proved pertinent. The day, month, year or even the state is irrelevant here, for the story of Cyrus and Abednego is one of millions: from the aforementioned voiceless “singular black mass”, these two impassioned lovers emerge to represent numerous stories of lost love, a need for freedom, and essentially, a desperate humanity. We dive in and out of such stories fleetingly, through abrupt and often cruel endings, severing our brief connections with the individuals Cyrus meets in the course of his journey. We are brought into the lonely lives of hotel watchman Plowman, separated from his partner Ruth through her being sold on; the doting Bella and the deaths of her children and loss of romantic partners; senile, mystical Old Africa; and on the especially brutal Saint Hall estate, Diver, Durance, Gus and his wife and children; Williams the Tyler groom and his short-lived break for freedom; head butler Cornet’s sister and the other victims of the flux; housemaid Esther, ironsmith Bale, troubled by Apocalyptic visions; the young Lilibeth, whose innocence was stripped from her … all tales within a fiction of course, but they, sickeningly and distressingly, could be the story of any Afro-American slave. The swamp, a setting which frames a majority of Cyrus’ journey throughout the initial chapters of the novel, is not only a place with a mise-en-scène that perfectly illustrates the natural elements of the deep south, but it is also a graveyard of loneliness and loss. The dense, murky swamp, seemingly metaphoric of the saturation of a desperate loneliness so prodigious in the life that it lingers even after death, permeates the tense atmosphere of the novel. The “stiffly writhing” cypresses, “thick” fog and “sucking mud” that inhabit the swamp all embody this distressing atmosphere and its suffocating heaviness. Gordon’s writing ensures that through the use of natural imagery, such as the cypresses which typically are symbolic of mourning, the dead are not forgotten. The cypresses convey the concept that the spirits of the tormented dead have grief so vivid that they are more dynamic than those of the living, but broken-spirited black people. This overlapping presence of both living and dead on one plane appears to comment on the inextricable link between life and death: if these people are not truly alive, then how can they die. For what is death without life? Moreover, Gordon’s use of the Gothic genre and his referencing “haints”, complements the themes discussed in the novel, helping both author and reader tackle a difficult topic. A significant trope of the Gothic is the use of numerous biblical references, including Cyrus’ particularly emotive statement, “the Word was made Flesh and the Flesh got chained and the Flesh got whipped”. A comment which reflects on the corruption of organised groups, religious or otherwise, that once introduced to humanity are manipulated to oppressive ends, favouring those in power. By reimagining the characters of the Bible as those slaves that help Cyrus in the novel, a realignment of power seems to be reached: surely if the black people can be likened to those in the Bible in action and manner, then surely, they are Godly and human? Further to this, if we also examine this same power play that is in medicine, noticeable in the dismissal of women as ‘hysterical’ in the 19th Century, we see a similar attitude in the slaves’ need to escape oppression being diagnosed as the mental illness ‘Drapetomania’, with punishment a suggested treatment. Here both religion and medicine are manipulated and exploited to assert white supremacy and to justify criminal acts of dehumanisation. At first glance, Drapetomania follows a classical quest narrative, helping make the emotionally challenging read somewhat more digestible. However, we leave the novel in much the same way we entered it, and the many other narratives, in a way as fleeting as life itself: sometimes without warning, and often with unfinished business. It is possible that Gordon utilised this structure to convey the concept that, just as there is ambiguity in the last chapters of the novel, there is no definitive ending to the oppression of black people. Gordon avoids this damaging narrative trap through his use of characters such as that of the white photographer, who in the narrative’s post-war coda comments that a potential backdrop option for a commemorative photograph could be a “plantation lullaby”. The title of the backdrop, and its jarring combination of a learnedly bleak and brutal and extremely recent history with incongruous connotations of childhood innocence, presents a haunting ignorance of, or indifference to the suffering of black slaves. Furthermore, to go on as he does to say that the murderous period could be contemplated as “purely romantic” is morbid, and uncannily reminds us of the fact that, just as the white Europeans stripped black people of their heritage, their own history, they are once again having their struggles ‘swept under the carpet’ to prevent any necessity for white society to take responsibility for the shame of the past. This at once ignites in us, as readers, the need to keep up dialogues about such events to prevent their recurrence. One symbol in the novel that particularly moved and inspired me was the reiterative reference to the North Star. A surface level analysis of this touchstone of slavery narratives would find that this symbolises travelling to the northern states of America, where Abolition was already occurring, thereby inextricably implying a sense of hope. However, I find the North Star to be a reference to the mind: the northern most part of the body. Amidst this brutality, Gordon’s protagonists keep sight of their north star, their minds, through faith, hope and companionship. The novel truly explores the extremes of human capabilities for both kindness and cruelty, in all its raw terror and beauty. Here, at least in Abednego Tyler and Cyrus Tyler’s story, it is shown that freedom is found in love, companionship and daring to just be. A reclamation of their selfhood, their heritage and minds. 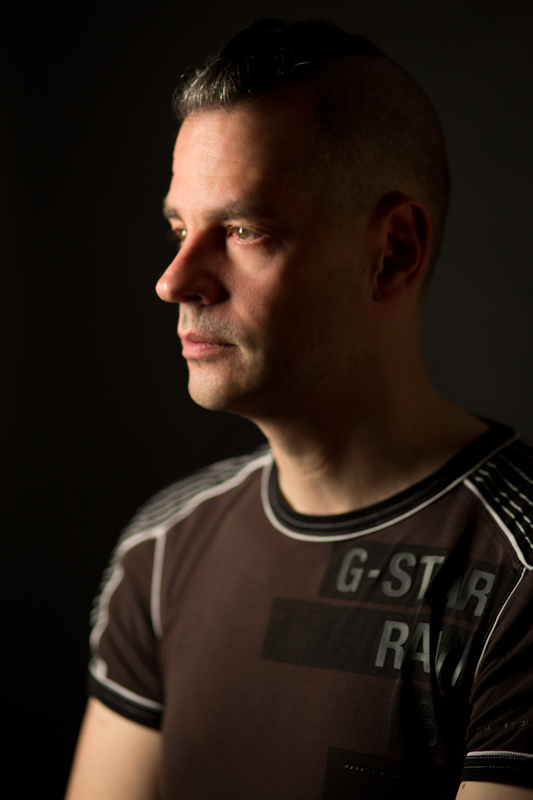 Gordon’s novel exhibits the human condition in all its imperfection and vulnerability. Drapetomania presents a society that is obsessed with the performance of propriety yet nurtures chaos and destruction. I find that, rather aptly, this passage from 1 Corinthians 13:13 in the Christian Bible encapsulates the sentiment of this love story between Abednego and Cyrus: And now these three remain, faith, hope, love; and the greatest of these is love. What is our freedom worth? What is your freedom worth? What will it take to reset your coordinates due north? A bittersweet novel that explores uncharted territory with courage and a deep compassion. I won’t encourage you to read this, I insist on it. 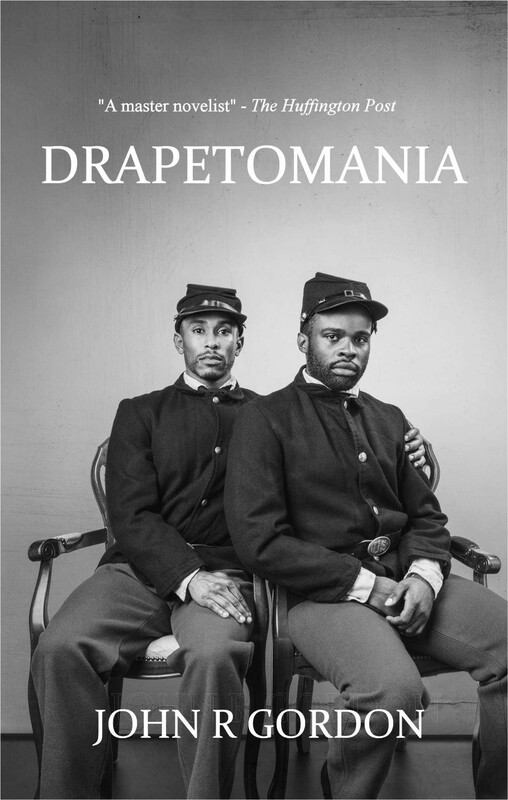 John R. Gordon’s Drapetomania: Or, The Narrative of Cyrus Tyler & Abednego Tyler, lovers, (Team Angelica Press) is out on the 17th May. Pre-order your copy now! Find anything wrong with this article? Please email tips@conkermagazine.com.